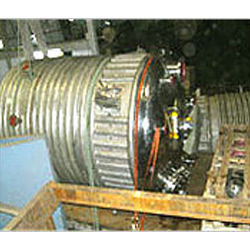 We are a leading Manufacturer of limpet coil reactor vessel, reactor with cooling coil, chemical reactor and reactor vessels from Thane, India. We are popularly acknowledged as the Limpet Coil Reactor Vessel manufacturers. 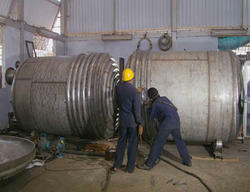 This vessel have wide range of usage in power generating industries. Limpet Type Reaction Vessels enables the various chemical processes. These vessels can be attained from us at market leading prices. This offered product is widely acknowledged due to customized solutions for our customers. We offer a wide range of Reactor with Cooling Coil that are known for their high performance, long lasting durability and are corrosion resistant. Our range is designed in compliance with international quality standards, and is highly appreciated by our clients around the globe. Our organization has gained recognition as the affluent manufacturer, exporter and supplier of a high quality range of Chemical Reactor. This system is manufactured using the superior quality components and innovative technology in compliance with defined quality standards.Being sturdy in construction and leak proof, these Chemical Reactors are extensively used in various industries for running and conducting reactions at increased temperatures and high pressure. Our offered range is stringently tested by our quality controllers against various parameters. 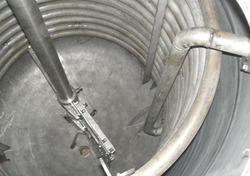 We manufacture Reactor Vessels Using Stainless Steel of Grade SS304 And SS316. 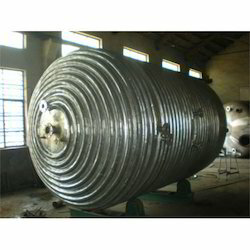 These Stainless Steel reactor Vessels Are Mainly Used In Chemical And Pharmaceutical Industry. Stainless Steel reactor Vessels Are Available In 400 to 10 Kl Capacity. We Are Offering reactor Vessels like Chemical reactor Vessels, Steel reactor Vessels, Steel Chemical reactor Vessels And Stainless Steel reactor Vessels. These reactor vessels Aae well tested before their supply in the market. Looking for Reactor Vessels ?